Adam Harris Thompson has been writing and performing music since 2007. In 2015, he dropped his day-job to pursue playing music professionally. 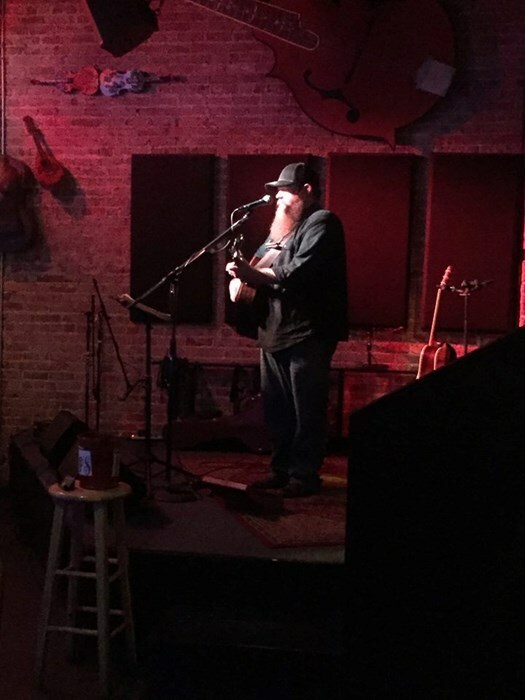 Based out of Augusta, GA, he averages 4-6 shows per week and has an extensive repertoire of songs. In February of 2015, he was awarded Favorite Solo Artist in the Augusta area at the annual Lokal Loudness award ceremony. Then, in July of 2015, he was invited to film a short interview and performance of two original songs for a WJBF News Channel 6 segment, that later aired on August 21st, 2015. 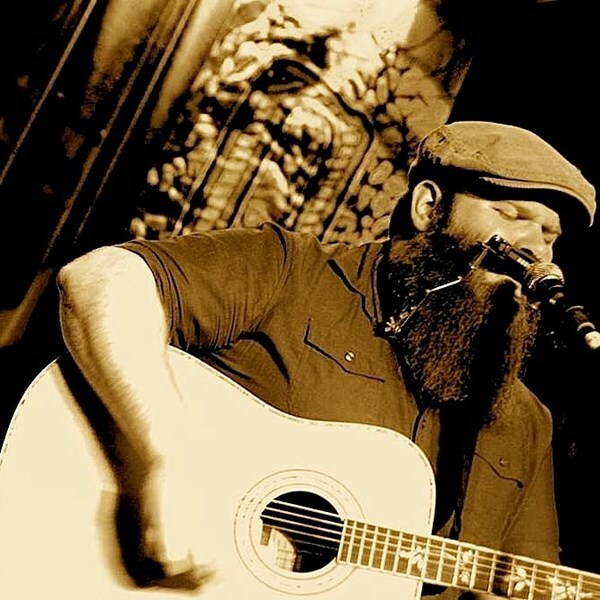 Stylistically, he is somewhat versatile, with his solo style being closest to folksy, Americana, alt country, & singer songwriter; while his full band style is more legendary blues with a southern rock flare. He has been known to accompany himself in one-man-band fashion: a guitar in his hands, harmonica propped to his face, and a bass drum at his feet. And he is also able to play the banjo, keys, and bass guitar (depending upon the difficulty of the songs being requested). Within the wheelhouse of his band are virtually endless possibilities of different instrumentation arrangements. 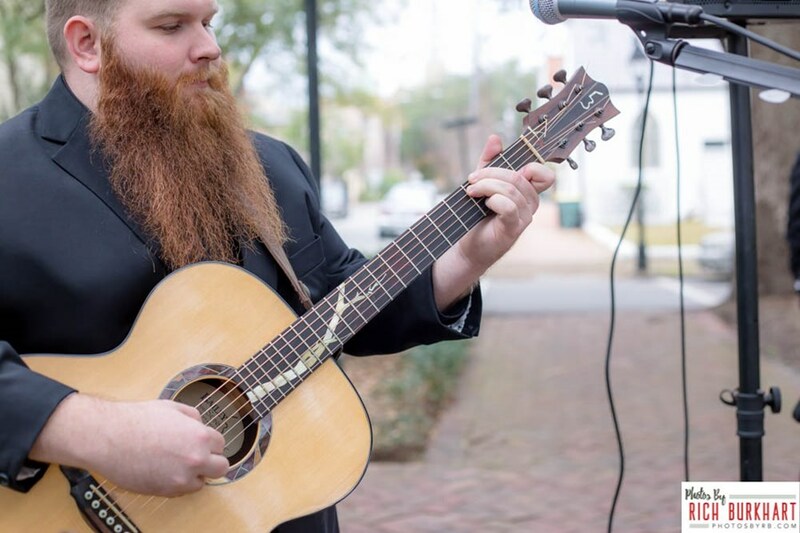 Adam is a great choice for cultured back yard parties, wine or beer tastings, wedding ceremonies, first dances, and events that might appreciate some lightly comical story-telling to accompany song selections. Adam has an inviting personality and relatable sense of humor. Whether booked as a solo act, duo, trio, or full band, each performance can be unique and different. A class act! We booked Adam for our wedding ceremony and he was amazing! His voice and music were beautiful and our guests were all raving about how great he was. He was extremely nice and helpful throughout our wedding planning and I would recommend him to everyone! Love Love Love Adam! He was amazing to work with and was exactly what I was looking for and wanting for my wedding! Adam was perfect for our event. He was very professional and talented. I highly recommend him. Adam was amazing! He played a rehearsal dinner for me and my family and blew us away! He even covered Etta James At Last - this guy is super talented and I would recommend him to anyone. Adam is wonderful, his talant is above all, superb. His personality is warm, friendly, fun, professional,and he was like part of our family during my beautiful daughters wedding. He willingly played and stayed much longer than we had originally asked him. We all had a blast, we sang and danced the night away into the early morning!! About 2 Am lol I, my daughter and all our guests loved him and we all highly recommed Adam. We hope he comes to Nashville soon We all plan on supporting him and going to see him play very soon!! Thank you Adam so very much!! You are an awesome artist and person!! Best wishes. Mother of the Bride Sharon ???????????? Es un músico y cantante increíble, quede muy satisfecha con sus servicios. Lo recomiendo 100%. We thoroughly enjoyed our experience with Adam from start to finish! He made being apart of our wedding very special, great guy! A friend said 'he's an angel in my ear'! You won't be disappointed booking Adam! Very accommodating! Hope our paths cross again! Adam was just terrific. Hands down one of the best and so accommodating to everyone in the group. A true artist and we would totally work with him again. Please note Adam Harris Thompson will also travel to Evans, Harlem, Fort Gordon, Martinez, Appling, Blythe, Augusta, Hephzibah, Clarks Hill, Gracewood, North Augusta, Belvedere, Modoc, Thomson, Dearing, Matthews, Beech Island, Boneville, Wrens, Clearwater, Bath, Keysville, Langley, Graniteville, Warrenville, Stapleton, Gloverville, Mesena, Parksville, Jackson.